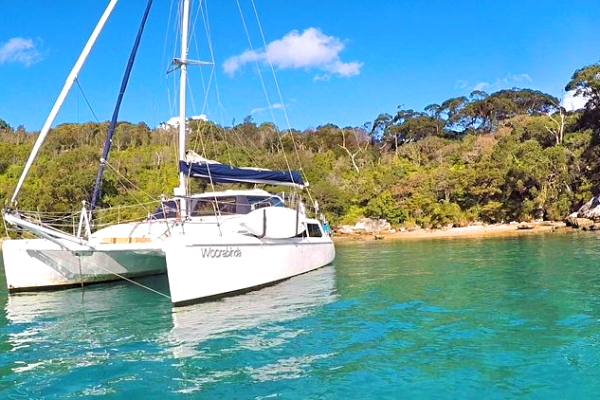 Woorabinda is a Seawind 1000 catamaran a perfect charter yacht for Australian conditions. 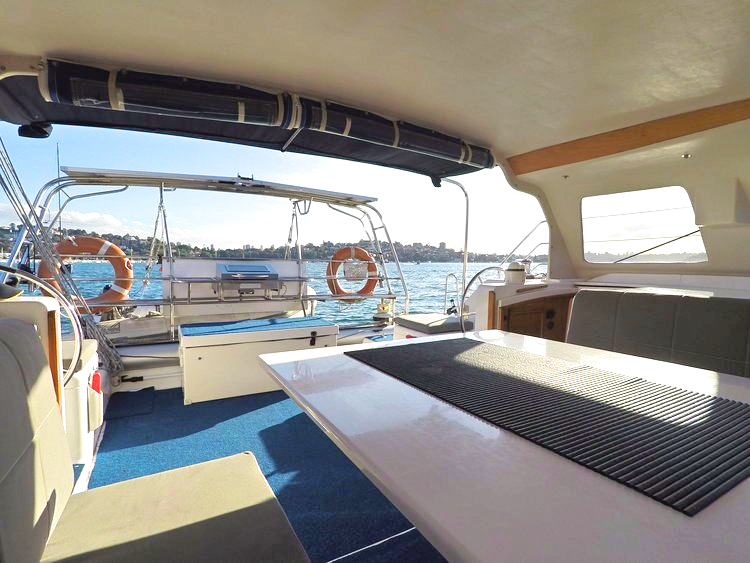 There’s ample deck room for your whole party to relax in comfort and a hard covered saloon area in case of poor weather. 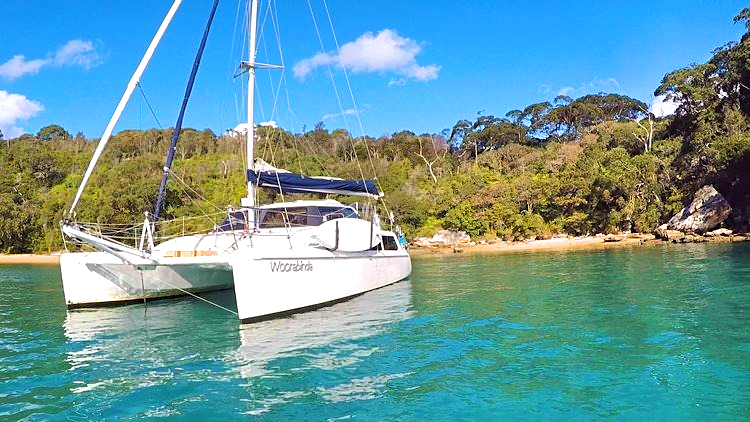 Woorabinda is well equipped with modern facilities that you and your guests can enjoy on board. 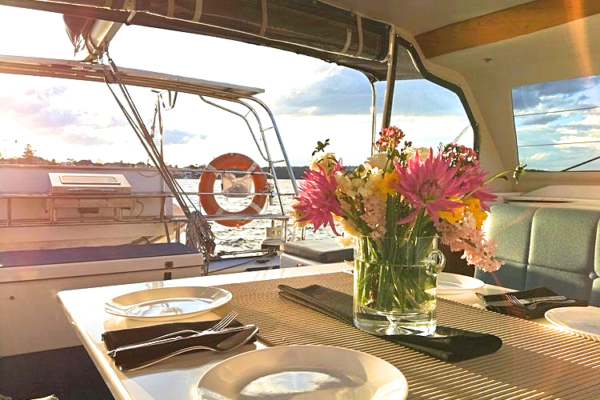 Some of these include a Gas BBQ, a Stand Up Paddle Board, CD, iPod or mp3 compatibility, refrigerator, fully equipped galley, Electric fridge and freezer and hot showers. 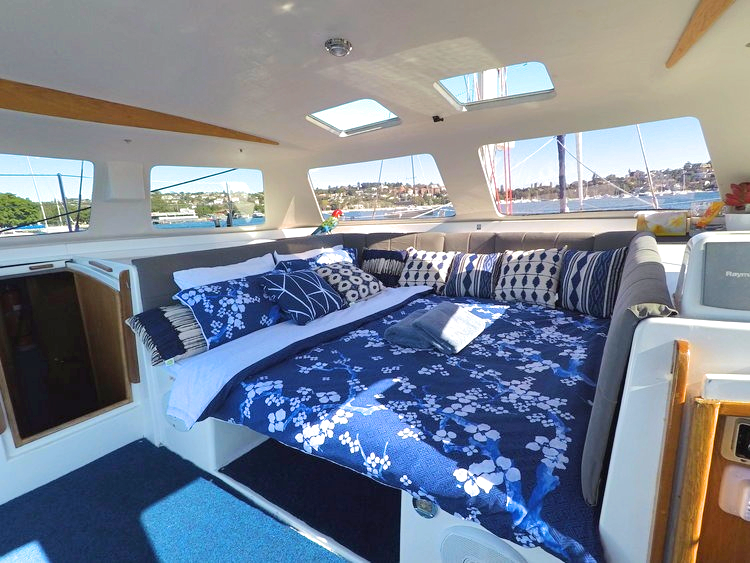 You can enjoy your time soaking in the sun or listening to your favourite tracks. 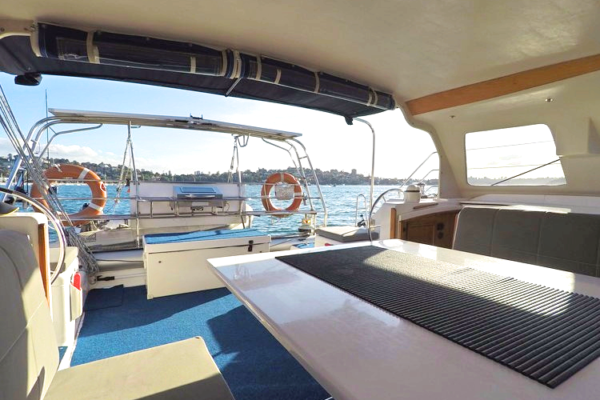 Rest assured, you will never get bored aboard Woorabinda, just the vessel you need to book to enjoy a relaxing, comfortable and incredibly refreshing Sydney Harbour Cruise. 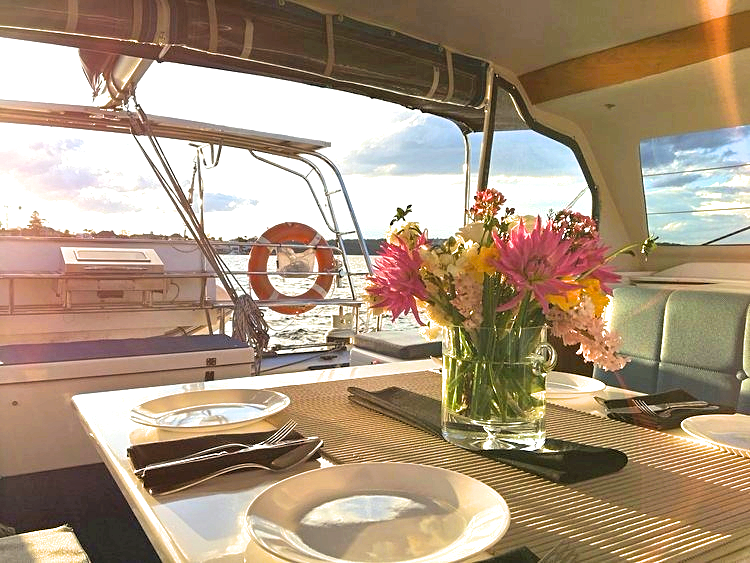 The upstairs deck features tanning and relaxing areas, barbecue facilities, while relaxation can be enjoyed in the privacy of the open saloon sleeping area with a king-size bed, fresh water outdoor shower, and downstairs room for the kids. 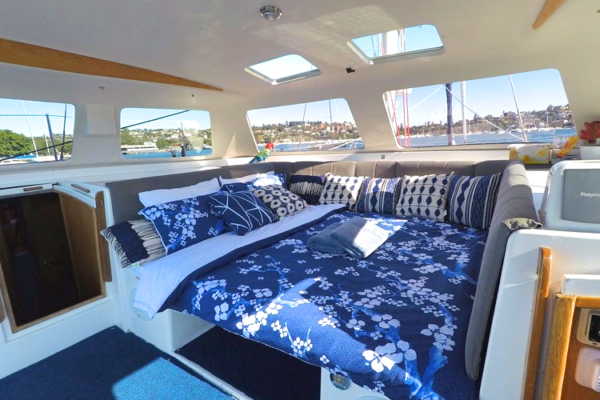 The catamaran can be fully enclosed in wet and windy weather. Guests are advised to wear non marking rubber soled shoes. No wedges or stilettos. 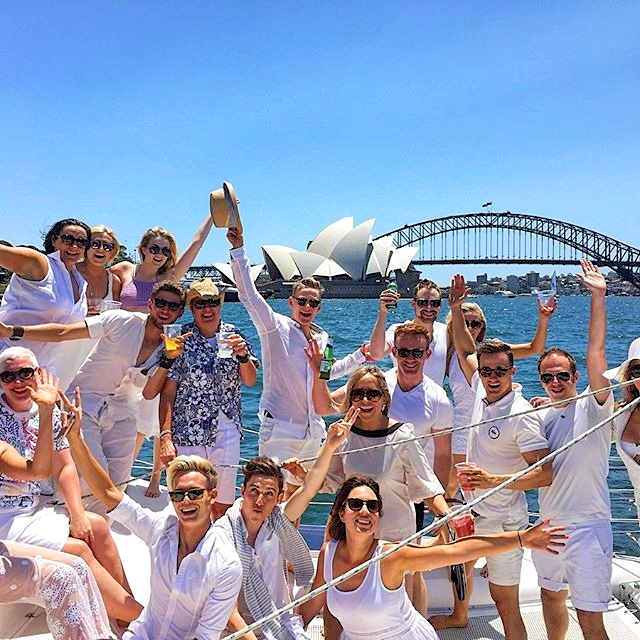 Once aboard, barefoot is welcomed! 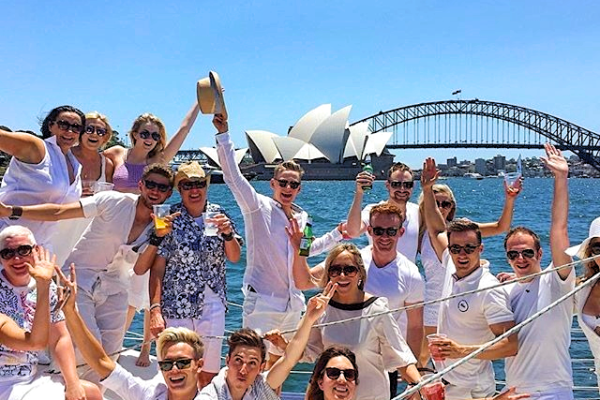 Please bring adequate sun protection, plenty of sunscreen and a towel if you wish to swim.